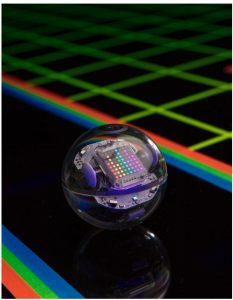 BOULDER — Sphero Inc., the company that builds robots such as the BB-8 droid used in Star Wars movies, has launched a new robotic ball it is calling BOLT. The Sphero BOLT is the latest robot from the Boulder company. Courtesy Sphero. The device is intended as an educational tool and comes equipped with the Sphero Edu application. It will help users dig deeper into science and technology, according to information supplied by the company and reported by the Daily Camera. The company said BOLT is suitable for all ages and knowledge levels. It sells for $149.99.